MLB’s draft signing deadline came and went Friday, bringing to an end one of the most wonderful and confusing periods on the baseball calendar. Of the 36 players drafted in the first round, 35 signed, including 23 for within 10 percent (one way or the other) of their assigned slot value. Considering how much leeway there is in the MLB draft bonus system, that’s more than you’d think. Remember: In baseball, each draft pick has a dollar value, but unlike in the NBA and NFL, all of a team’s slot values are added up into one pool, which can be disbursed among the team’s various picks in whatever manner is most expedient. So instead of going from draft to contract signing with little time lost and little room to negotiate, player and team have about six weeks to haggle, within certain restraints. It’s a system you’d have to be an idiot to design and a genius to totally understand. Very little of what took place Friday was surprising, or, in fact, new. The two biggest exceptions are the ripple effect from the first overall pick and the one first-rounder who didn’t sign. 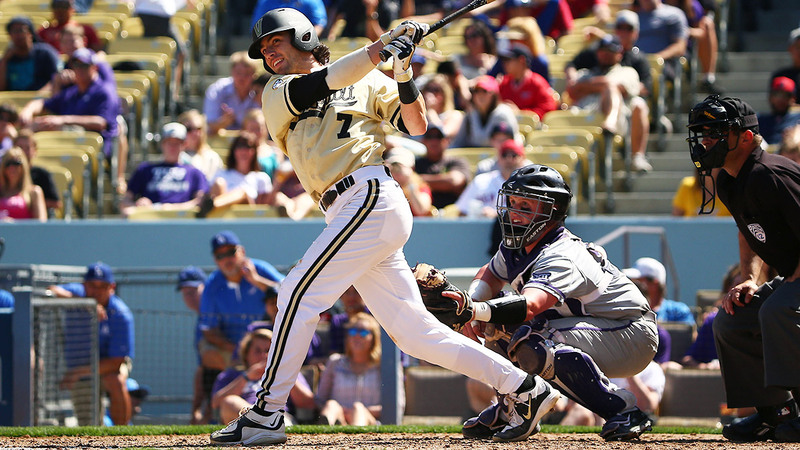 What Happened to the Savings Arizona Got From Dansby Swanson’s Under-Slot Deal? There was a fair bit of consternation as the signing deadline loomed, because Swanson, the Vanderbilt shortstop who went no. 1 overall, hadn’t yet signed with the Diamondbacks. That in and of itself wasn’t particularly noteworthy: It’s not uncommon for college players to wait to sign their first professional contracts, because the draft comes at the end of a grueling season, and draft picks are obliged to report to minor league ball once they sign. In most cases, a delay in signing isn’t an expression of a reluctance to go pro so much as it’s born out of a desire to have a few weeks off before playing again. Virginia lefty Nathan Kirby, for instance, also waited several weeks before signing, in his case with the Brewers, because he, like Swanson, was still playing in the College World Series for two weeks after the draft. Swanson did eventually sign for $6.5 million, a deal described wonderfully on SB Nation Vanderbilt site Anchor of Gold as “$2,116,900 under slot value, still one hell of a lot of money.” It was the biggest haircut in the draft, from slot value to the actual bonus, but the largest bonus in the draft nonetheless. The no. 2 pick, Alex Bregman, gave the Astros a discount in excess of $1.5 million, most of which went toward Houston signing the no. 37 pick, Daz Cameron, to a deal worth nearly two and a half times the draft slot value. That’s usually what happens when one player signs for less than his slot value: The money shows up later in the draft, allowing the team to grab another quality player who would’ve gone back to school unless the price was right. Usually, but not in Arizona’s case. The Diamondbacks left $1.7 million of their bonus pool on the table, which, if not literally unprecedented, is still preposterously irresponsible. The draft, by design, allows teams to sign amateur players for far less than they’d be worth on the open market, not only by limiting the players’ negotiating leverage by restricting them to one team, but also by reducing the amount teams are able to pay them. Most teams lay out their draft plan and have a good idea what each player is going to cost in the early rounds, so that late on the third day they can take a few talented high schoolers who made clear their desire to go to college, then tempt those players with an over-slot bonus in case, say, an extra $1.7 million shows up unexpectedly. See, that draft bonus money doesn’t carry over year to year. You have to consume your entire allotment when it’s given to you, which, incidentally, is also my philosophy regarding chicken tikka masala. $1.7 million is a trivial amount in baseball economics writ large, but it’s a fortune in bonus pool money. It’s the slot for a pick in the mid-30s. It’s the equivalent of having a late first-round pick and saying, “Nah, we’d rather not have a player of that quality than have him and pay him,” because either by bad planning or cheap management, that’s what happened to Arizona. And considering that the Diamondbacks pretty much sold their last first-round pick only a few weeks ago, this represents a startling trend. The draft is the best value-for-money proposition in talent acquisition, and the Diamondbacks aren’t making even that minimal expenditure, either because the baseball ops department doesn’t recognize the value, or because owner Ken Kendrick is refusing to pay the marginal costs of making a good-faith effort to field a competitive team. The worst part? It’s impossible to tell which one of those is the root cause. How Many College Pitchers Did the Dodgers Actually Get? Elsewhere in the NL West, the Dodgers also had a weird back end of the signing period. They spent four of their first five picks on college pitchers, all relatively high-floor arms with a track record of success against tough competition. It was supposed to be an immediate injection of depth to their minor league system, but while nobody’s going to weep for a team that has Julio Urias and Jose De Leon in the minors (to say nothing of Zack Greinke and Clayton Kershaw in the majors), it kind of went to pieces near the end. The Dodgers’ first pick, Vanderbilt righty Walker Buehler, agreed to a bonus of $1.78 million — more than $300,000 below his slot value. The bad news is that the discount stems in part from his needing Tommy John surgery, which the Dodgers presumably didn’t know during the draft (nor, presumably, did Buehler, who pitched in the College World Series after he was picked). The good news is that the Dodgers were free to spend the saved money on Kyle Funkhouser, who was viewed as a potential top-10 pick heading into the season, but dropped to no. 35 after an up-and-down junior year at Louisville. Sometimes, a player whose stock drops holds out for the bonus he thought he should’ve gotten, and according to Dodgers GM Farhan Zaidi, that’s what happened here. So when the Dodgers didn’t meet Funkhouser’s number, he decided to go back to Louisville for his senior year, and his spot in the Dodgers’ bonus pool — almost $1.76 million — disappeared. That’s unfortunate for the Dodgers, who drafted two pitchers who could’ve gone in the top 10, missing out on one for a year and the other completely. But that’s how negotiations go: It’s a good bet that one first-round pick won’t sign in any given year, and the Dodgers were able to soften the blow by using the savings from Buehler’s deal to sign 30th-rounder Logan Crouse, a highly regarded high school pitcher who would’ve gone earlier if not for a strong commitment to Florida State, to precisely the kind of over-slot deal that would’ve served the Diamondbacks well if they’d decided to use their $1.7 million on ballplayers and not, as one presumes, on a 15-foot mural of Bob Marley, done in black-light paint, for Kendrick’s rumpus room. But this is less interesting for the Dodgers than it is for Funkhouser, who could very well beat the $2 million-plus bonus the Dodgers likely offered him by enough to make putting off the pros for a year worth it. Stanford product Mark Appel famously did so after not signing with the Pirates as the no. 8 overall pick in 2012, going no. 1 overall to the Astros the following year. 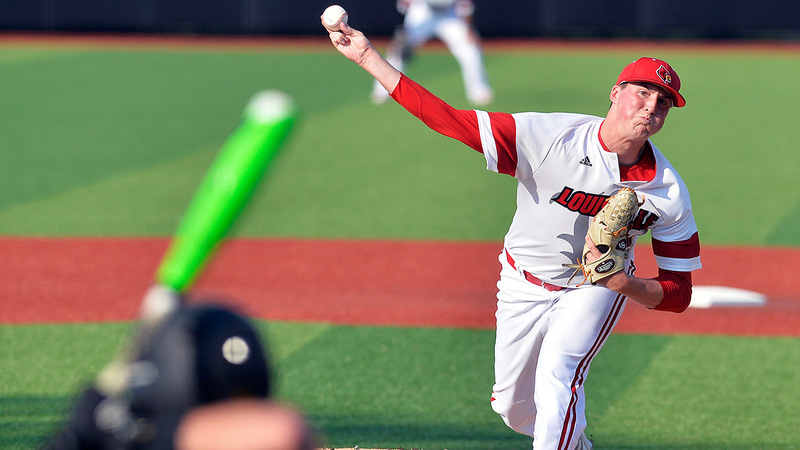 But in order to do so, Funkhouser has to stay healthy and pitch back up to the standards of his sophomore year — neither of which is a given — while contending with the fact next year he won’t have the option of going back to school if he falls in the draft or if his would-be employer lowballs him. That weakens his negotiating position and could cost him, even if he does go higher next year than he did this June. Philosophically, I love the idea of a player, faced with an offer that’s less than what he believes himself to be worth, telling a team what it can do with its money. Not just because of any pro-worker, screw-the-man message that conveys, but because it takes a lot of self-confidence and courage for Funkhouser to place a $2 million bet that he can do better. It’s hard not to admire that. But that bet is extremely risky, and at this moment, the leading story for next year’s draft is whether Funkhouser will be the next Mark Appel, or whether he’ll be the next … well, when it goes wrong, we don’t remember those guys’ names.